On Tuesday, the 18th of April, two days after capturing the Gagarin Cup for the second time in three seasons, SKA Saint Petersburg staged a celebratory end-of-season gala evening, which included a hockey match featuring the victorious players, the club management, and even the players’ wives and children. Khl.ru attended the event and asked senior coach Harijs Vitolins to speak of his team’s triumphant season and of the caliber of the players who make up the finest team in the League. 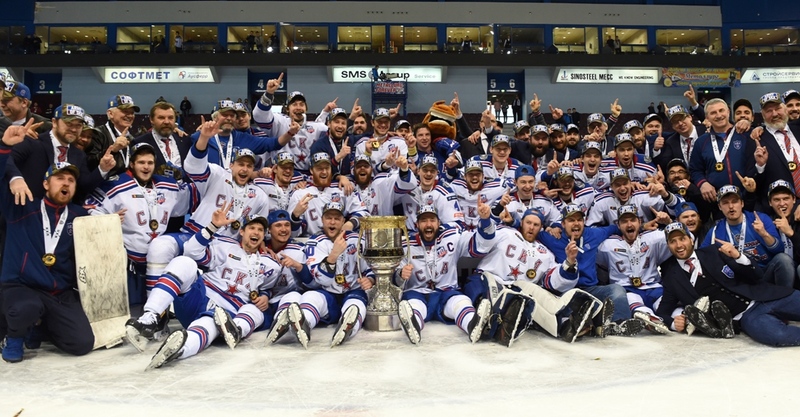 SKA wins the Gagarin Cup! 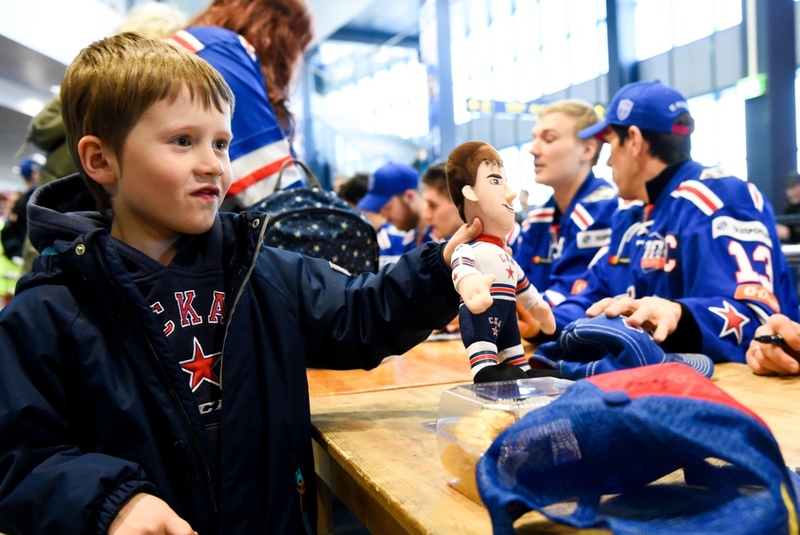 The festivities began with an autograph session attended by nearly the entire roster, including Pavel Datsyuk (only Ilya Kovalchuk, Vadim Shipachyov and Sergei Shirokov were otherwise engaged), and fans stood in line for up to two hours before the start of the event. The players happily scribbled their famous names on programs, hats and t-shirts, and some even received presents in return: Evgeny Dadonov was given a picture of his near-namesake, Tsar Dadon, hero of Pushkin’s classic poem, Tale of the Golden Cockerel. From the Palace foyer, the action then moved to the ice itself. 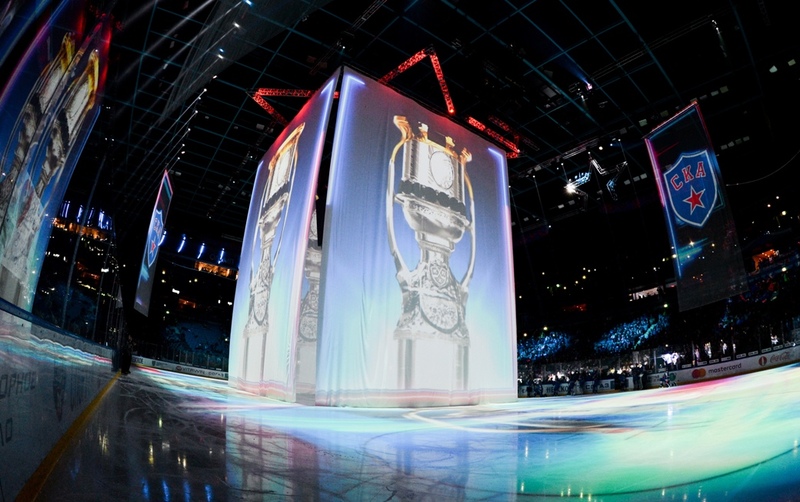 The gala game was a Blues-versus-Whites contest, and among those taking part were many senior figures in the SKA and hockey administration -Gennady Timchenko, Roman Rotenberg, Andrei Tochitsky, and former KHL president Alexander Medvedev – as well as many players from the current stock of champions: goalie Igor Shestyorkin played as a skater in Nikolai Prokhorkin’s jersey, Ilya Kovalchuk appeared in a line with his sons, Filipp and Artyom, and Evgeny Ketov’s boys, Platon and Kolya, were also given precious ice time. Several of the youngsters were scarcely taller than the boards, and presented an adorable sight, particularly when trying to outplay the grown-up goaltenders. Indeed, the first goal of the night was an all-Kovalchuk affair, with Ilya putting the finishing touch to a chance set up by his diminutive line-mates. The teams were under the guidance of Harijs Vitolins, head coach Oleg Znarok’s experienced right-hand man, and Znarok himself, with the latter assisted by his wife, Ilona. The match ended with a diplomatic 13:13 scoreline, and then it was time for the official ceremony to begin. The president of the Russian Hockey Federation, Vladislav Tretyak, presented SKA with the Champions of Russia trophy, to a soundtrack of raucous applause and salvos of confetti from cannons, while hundreds of balloons were released from the stadium rafters. The all-conquering Army Men stayed on the ice for a long time after the presentation, proudly showing off their victors’ cups and medals to loud ovations from the 10,000-strong crowd. “There was a very good chemistry in our team this year. We have players with great technique, who are strong at defending as a team, and strong individually. However, the main reason we won is that every player not only showed his good side, but worked hard to improve the weaker sides of his game. That’s what ultimately brought us victory. What kind of player is Mikko Koskinen? Reliable! And with a wealth of experience in the playoffs. A team player, and one with a very positive attitude. I’ve never seen him get despondent. Igor Shestyorkin is very hardworking. I think he’s a future number one. Let's just say he has huge potential. Artyom Zub has only been in the team for six months, and in that time his performances have been superb. He is a combative guy, and while he is a little shy he still does everything you ask of him. Dinar Khafizullin has been a revelation in the playoffs. He has acquired a taste for offense. I still consider him a defensive defender, and he often attracts little attention – a good thing in a defenseman – but he can suddenly strike from nowhere. Roman Rukavishnikov is strong, fit, sturdy – he’s like a wagon! He’s not afraid to mix it when things get rough. Every team needs a defenseman like that. As for Patrik Hersley, we knew that he had a terrific shot and we found the way to deploy it. When he was at Lokomotiv, it didn’t quite come off, but with us he has found his game and he understands what is expected of him. He is without doubt the leader of our defense. He always made the right decision at key moments. It is a pity that Vyacheslav Voynov missed the end of the season through injury. He was awesome in the early part of the championship, and we saw the Voynov we’d all been waiting to see. He was sharp in offense, disciplined in defense, and showed he was a true leader. With Andrei Zubarev, it was vice versa. He had a really difficult start to the campaign, but what a fighter! He’s prepared to do anything for the team, and in the playoffs he scored two vital goals for us, but his real strength is still his defensive play – he’s another stay-at-home defenseman. Yegor Yakovlev is quick and agile. There is an edge to his game, and we have tried him in the powerplay unit. He’s not particularly bulky, but he strives to make up for this with speed and guile. Dmitry Yudin – a shame he had that injury, as we still haven’t seen him reach his full potential. It’s great we have such stiff competition for places in our team, but Dmitry’s long absence disrupted his rhythm. Still, he is another battler. He will fearlessly do whatever the coaches ask of him, and is prepared to fight for the puck against any opponent. Injury also marred Maxim Chudinov’s end to the season. He is a player with a mean shot and he reads the game very well. I think this year he grew stronger and faster. 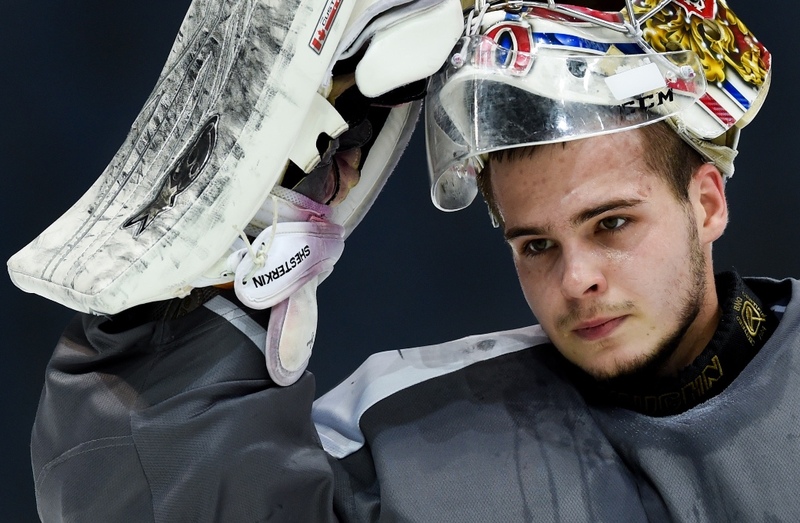 Yegor Rykov is the kind of young guy you need to keep on a tight rein. If he does have a negative, it’s that he tries to take too much upon himself and this can hinder him in his main work. He needs to improve on this next season. There are certainly no question marks over his commitment; he will give his all, no matter what you demand of him. The potential is there and he has performed well for the national team. He has the makings of a dangerous attacking defenseman, and we’re trying to instill more self-control in him, so that he doesn’t always go surging forward. 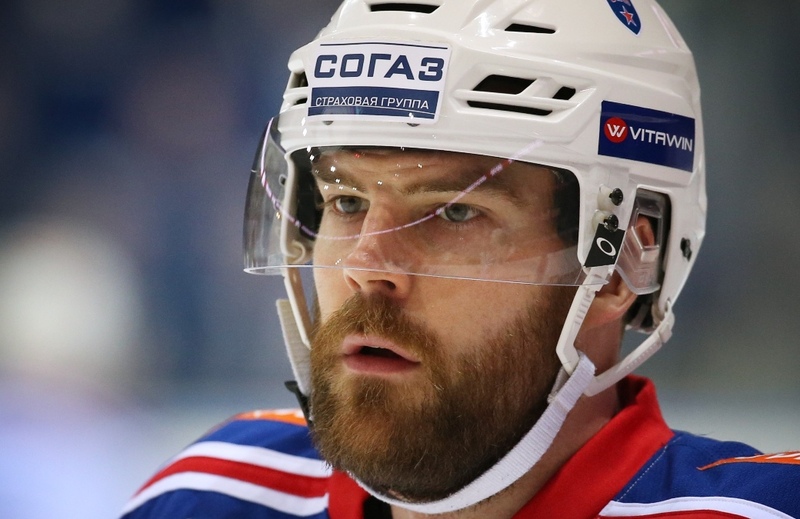 Anton Belov is a highly creative player with a lot of experience. He always tries to choose the wisest option and he has good economy of movement. He saves a lot of energy by having keen vision. Moreover, he’s very valuable in a powerplay unit – a left-handed defenseman with a fearsome shot. Jarno Koskiranta was anonymous for much of the first part of the season, but after the halfway stage he improved considerably, to the extent that without him the team would not have had a championship-winning defense. He is fine on either flank, and it’s all the same to him whether he’s put in the first line or the fourth – a very versatile guy. Viktor Tikhonov didn’t have the most successful season. There were signs he was returning to form, but then he got injured and was out of action for quite a while, and this set him back a bit. But he’s always with the team and he works very hard. Steve Moses is another one who had to battle injuries, concussions, and the resultant loss of form. It’s very hard to bounce back. We all know he can do it, but in every team there are players who do not get enough ice time, and with us he didn’t get the practice he might have got at another club, so of course, he faded a little and his recovery was stalled. 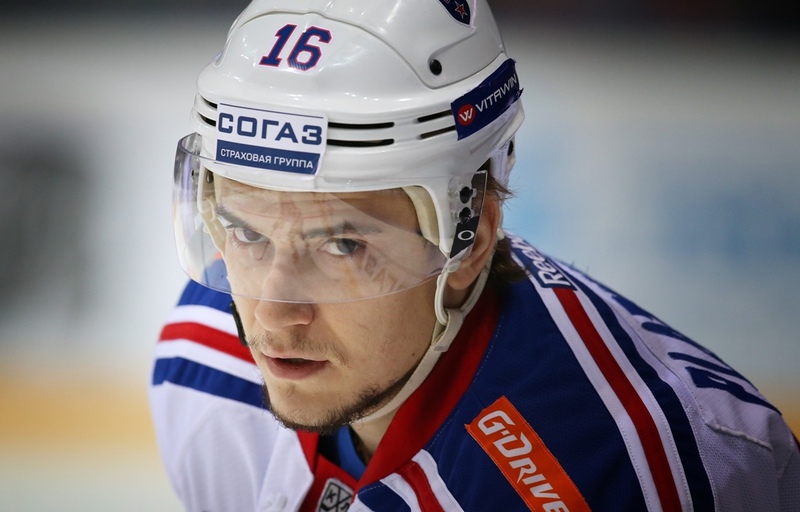 Sergei Plotnikov came to SKA from North America and I think he had a good season. He was maybe a little sluggish to begin with, but he was a success in the second half of the campaign. He showed aggression, movement, and he reached peak form in the playoffs. Ilya Kablukov and Evgeny Ketov – two guys who were always completely ruthless when killing penalties. I can safely say that we wouldn’t have been champions without these two. They did all the vital, laborious stuff, which often passes unnoticed. Evgeny Dadonov has speed, acceleration, and good technique. As for the chemistry in that line with Vadim Shipachyov and Nikita Gusev, I don’t have much to add to what’s already been said. Dadonov gives the troika pace and technique; Shipachyov – creativity and technique, Gusev - cunning and technique. One surges through the defense, another reads the situation superbly, and the third keeps a cool head and finds the right pass. 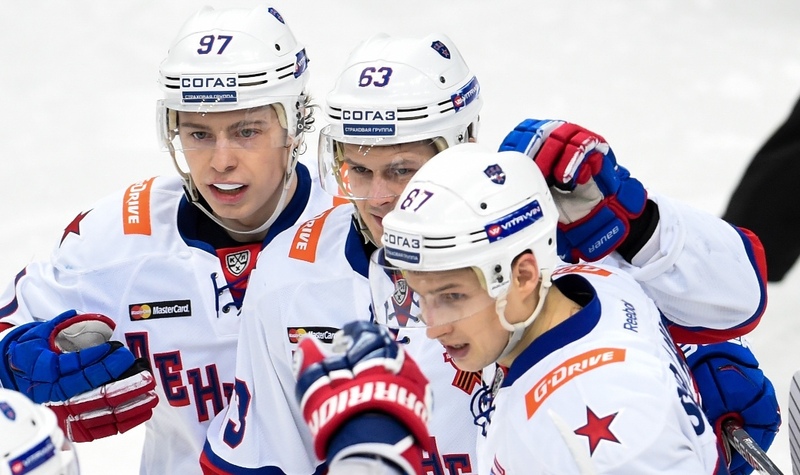 If they were split up among different teams, each one would find his place, but we’re considering them as a unit – their rapid breaks, powerplays, goals at the crucial moments… I think Gusev in particular was a new man. If last year he lacked a bit of steel and was prone to go missing in games, then this season he was scoring decisive goals all the way to the end of the playoffs. 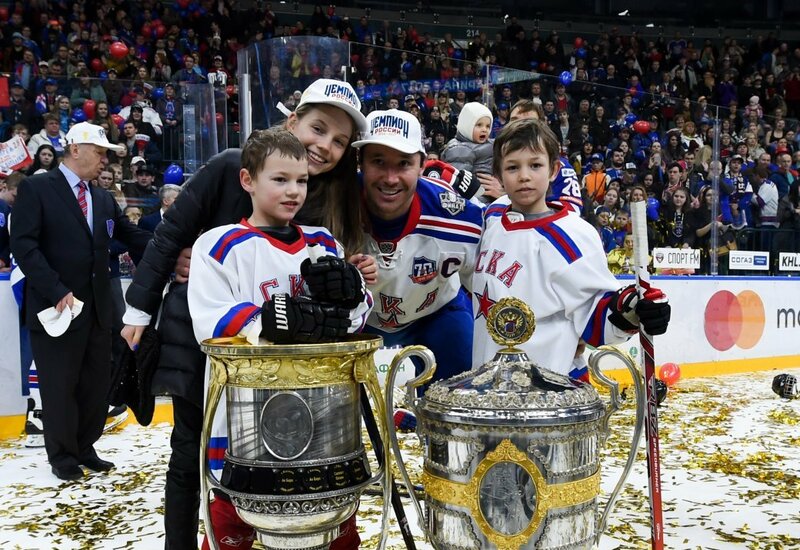 Pavel Datsyuk is another player without whom we wouldn’t have won the Gagarin Cup. Even though injury forced him out of the second half of the playoffs, throughout the season he was the one who kept the spirits up in difficult moments and took all the responsibility. He has such vast experience! It is thanks to him and Ilya Kovalchuk that we performed at such a high level this year and scored so many goals. As for rallying the troops in the locker room, the pair shared this duty very well. 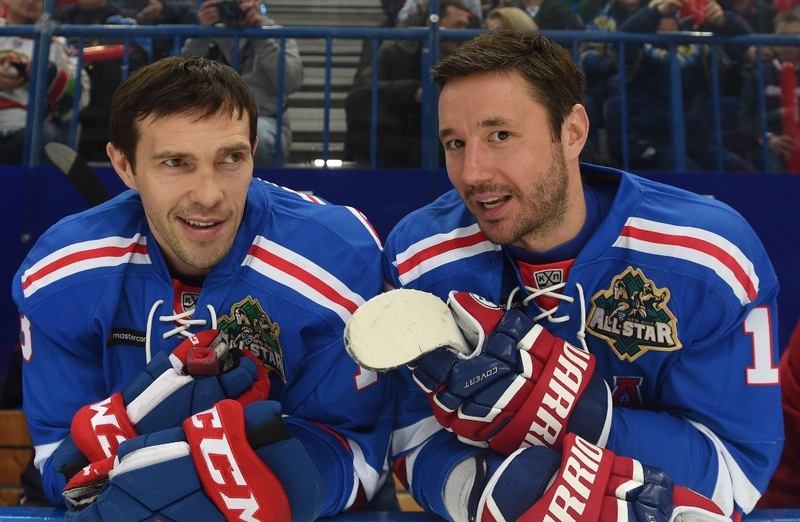 Here Kovalchuk took more responsibility – he’s the kind of player who is invaluable in the locker room. You could criticize him for not scoring enough goals, but that is not important. It’s the team that counts, and if the team is winning, then the captain is doing everything right. 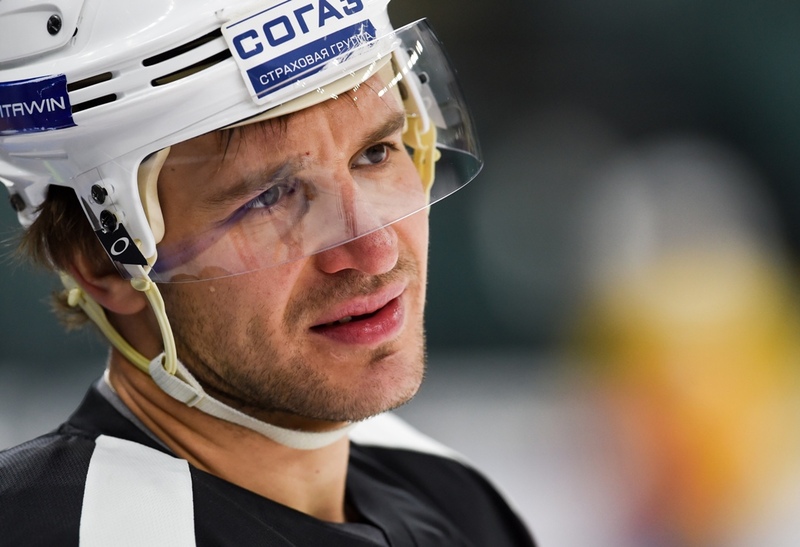 Sergei Shirokov was sidelined through injury, but we all know his skill set and what he’s capable of. At vital moments he scored goals, as against Dynamo, and kept hold of the puck. Shirokov has fine technique, but he’s also a very tough player. Nikolai Prokhorkin had a tricky start to the season and there was fierce competition for places, but when Pavel Datsyuk got injured, Prokhorkin eagerly stepped into the gap and proved he is an accomplished center, one that can hold his own in a physical battle. He’s still not the finished article, of course. Alexander Khokhlachyov is very fast, although he lacks a little in flair. Those times we gave him a chance, he did his job well and provided competition for places. It’s hard to settle completely into a team in your first year, and I think that next season will be a better one for him.